Edited by Cornelia Amalinei . The invitation to contribute to the editorial process of a book regarding the aortic aneurysm may seem for a histopathologist as an unchallenging project, considering that its morphological characteristics have been well-recognized and verified in individual practical diagnostic activity. Firstly described in the second century AD, by Antyllus, the complexity of the disease has been progressively evolving to a spectrum of anomalies based on genetic predisposition, stresses within the aortic wall, proteolytic degradation of the structural components, and/or inflammation and autoimmune response, factors that may be combined in a variable proportion. 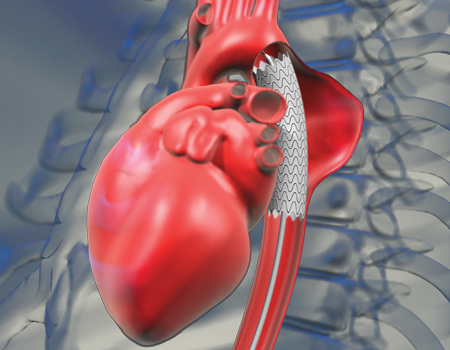 Nevertheless, the increasing involvement of genetics, molecular biology and immunology, relatively recent findings in understanding the complex pathogenic mechanisms of a wide spectrum of diseases, including aortic aneurysm, provides an interesting and challenging research domain. The deep insight into these molecular cascades may facilitate not only the understanding of aortic aneurysm pathogenesis but also provide a fundament for an early diagnosis and further development of complex therapeutic modalities. The amplitude of aortic aneurysm morbidity and mortality is constantly increasing, despite considerable advances in surgical or endovascular intervention which is still considered as the only successful form of therapy. Furthermore, as a contribution to numerous studies currently conducted around the world aiming the improvement of patients’ prognosis, mainly by the use of animal models, this book becomes a challenging project designed to gather the view of researchers with different background regarding fundamental notions and adding the updates resulted from world-wide scientific progress or from medical practice. 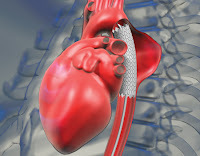 Consequently, the reader may find interesting data about etiology, risk factors and pathogenesis of aortic aneurysm, including an update of the genetic susceptibility and complex interactions of a wide panel of cytokines, growth factors and proteolytic enzymes, its characteristics in young age, and particularities of aneurysms affecting visceral arteries. Moreover, the chapters regarding the therapeutic management are preceded by a presentation of a complex algorithm of preoperative evaluation of the patients. Several different perspectives regarding the surgical therapy, including the treatment of complications after prior surgery are completing the content of the book. The authors’ practical experience is added to an exhaustive and comparative review of the relevant scientific publications concerning the initiation mechanisms, clinical evaluation and complex therapeutic modalities. Furthermore, some original proposals regarding new ther apeutic strategies are added, opening new and promising perspectives for the future management of the disease. Last but not least, advanced imaging strategy contributions to the multidisciplinary management of the disease are offering the reader a wide picture of the current knowledge of aneurysmal disease. The complex association of notions from fundamental sciences with practical therapeutic resources and original proposals for the management of the disease is providing an interesting lecture and an update of scientific literature. Special consideration and thanks to all the authors for their efforts and to the publishing team which connected the authors from all over the world.